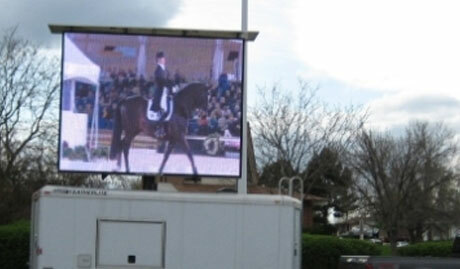 Mobile View LED screens are wide in variety to meet a spectrum of specific requirements. Our Mobile LED screens produce some of the sharpest pictures in the industry. Their 256 bit, trillions of colors, captures every colorful detail to enhance your fans event experience. Entirely self-contained, these portable systems were specifically designed for quick set-up. In fact, our T units can be operational within minutes upon pulling onto your event site, making them the most portable mobile LED video screen units in the industry. The portability of these big screens allows you the flexibility to move them from one location to another to accommodate all aspects of your event. All mobile screens are excellent for branding, scoring and timing. 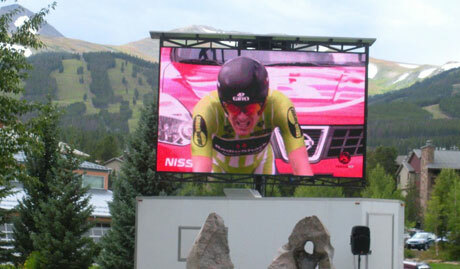 However, we typically utilize these giant outdoor screens for video images, live broadcast and replay highlights. Complete with on-board production suites, our LED mobile screens create front row seating, every time. 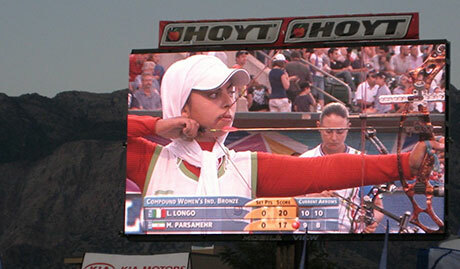 Mobile screens are a great solution for any type of event, indoor or outdoor. All trailers/screens can be branded (advertising banners) to fit your specific needs. CONTACT US to discuss your branding or marketing requirements. Our LED modules can be placed in locations otherwise thought to be inaccessible. Once assembled, your participants, fans and sponsors will thoroughly enjoy what they see. 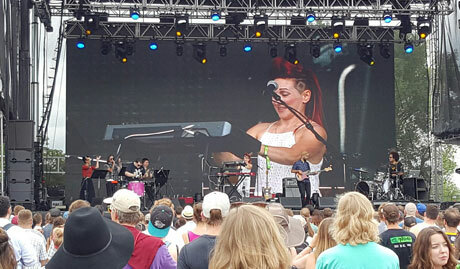 Modular LED display panels can be configured to any shape or size your event requires. 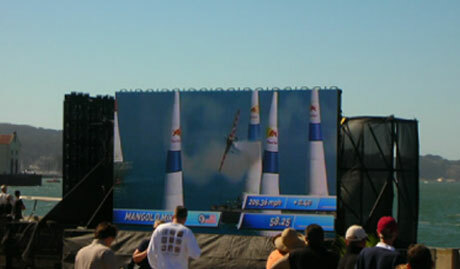 Typical uses for these modular screen panels are video images, live broadcast and replay highlights, but they can also be used for graphic designs or lighting enhancement. 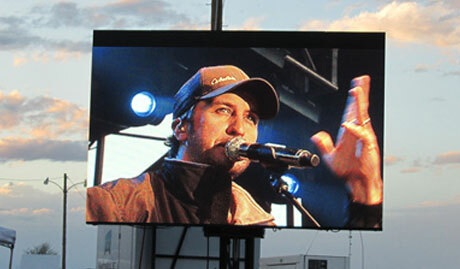 Regardless of your needs, our LED display panel modules can enhance any event. Email or Call us at 303-770-3416 to reserve your big screen for your next event and see the Mobile View difference. We can deliver any size LED screen, anywhere in North America on a moments notice through our vast network of affiliate companies.